TRAVERSE CITY, Mich. – Renowned golf instructor Dave Pelz considers a visit to Grand Traverse Resort and Spa a perfect day in paradise, and the resort considers Dave Pelz Scoring Game Schools a perfect enhancement to the already first-class golf experience for its visitors. 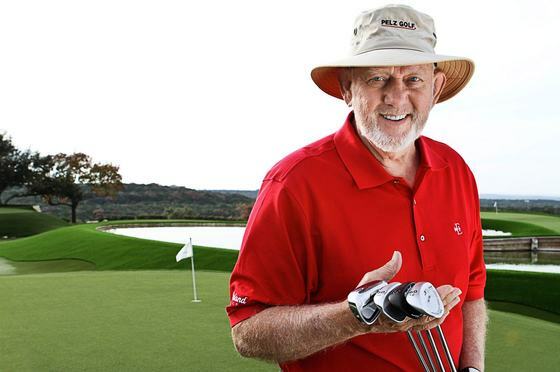 Grand Traverse Resort and Spa is high end and does things the right way, and Pelz Golf is high end and does things the right way; it’s a perfect fit,” said Tom McGee, director of golf operations, in announcing the Dave Pelz Short Game School will be presenting 15 clinics/schools this summer at Grand Traverse Resort and Spa. One day clinics and two- and three-day schools are scheduled between a June 28 one-day clinic and a three-day school that starts Aug. 20. Pelz, whose celebrated work with Phil Mickelson and many other top professionals has helped result in multiple major championships, said he can’t wait to get to paradise to help golfers. A former NASA scientist with a uniquely analytical approach to the game, Pelz founded his schools in the late 1980s and structured the program to meet the needs of all handicap levels, emphasizing individual attention to each student. He defines “the Scoring Game” as a combination of the short game, which includes all shots played inside 100 yards of the green, plus the putting game, which are all the shots played on the green. Every Pelz school includes an analysis of each student’s game, classroom theory sessions and outdoor execution sessions. Pelz’s staff instructors are highly-trained teaching professionals, and the low student/teacher ratio (4-to-1 in three-day schools, 6-to-1 in one-day clinics) allows instructors to concentrate solely on their students and students on their instruction in the short game. McGee expects response by golfers from across the country, especially since the Cherry Capital Airport in Traverse City has many direct flights, including service to and from Newark/New York, Dallas and Atlanta. The Resort includes 900 acres of Northern Michigan landscape to explore, 86,500 square feet of versatile, modern and fully equipped meeting space, Spa Grand Traverse with 23 treatment rooms and areas, nearly 600 guest rooms and condominiums, the lobby-level Gallery of Shops, a licensed day care center, day camps for kids and multiple food and beverage outlets including the distinctive Aerie Restaurant & Lounge on the 16th floor of the Resort’s glass Tower. Nearby is Turtle Creek Casino & Hotel where excitement, fun and winning happens 24/7/365. Shuttles between the properties run all the time, too. As the golfers in Michigan and around the world know, the golf is first class with three championship golf courses including the Jack Nicklaus-designed The Bear, The Wolverine by Gary Player and Spruce Run by William Newcomb. For Pelz school and clinic schedules, and to enroll, visit www.pelzgolf.com. For information about lodging at Grand Traverse Resort and Spa visit www.grandtraverseresort.com or call 800-236-1577. Resort & Golf Marketing: Dave Richards, dave@resortandgolf.com, 248-642-6420. Grand Traverse Resort and Spa: J. Michael DeAgostino, Public Relations Manager 231-534-6352 jmdeagostino@gtresort.com.